Agrocorp International is a global agri commodity trading and processing company specializing in the physical movement of products such as pulses, wheat, rice, oilseeds, sugar, cotton and edible nuts. The company’s beginnings can be traced back to 1990, where it operated from shared office spaces in Singapore trading mono-sodium glutamate and galvanised iron to Myanmar with a startup capital of SGD25,000. Today, its grown to having a global presence of 21 offices in 12 countries and customers in over 30 countries. 2017 was a record year for Agrocorp records with trade volumes exceeding 9 million metric tonnes and revenues exceeding US$3 billion. The processing arm of Agrocorp was launched in 2012 with the build of its flagship plant in Moose Jaw, Saskatchewan in Canada . It has has now expanded to 4 countries, handling 800,000 metric tonnes of goods across eight plants with the acquisition of Associated Grain. Over the last 5 years has been one of the largest buyers of Australian chickpeas with their 2017 purchases exceeding 200,000 metric tons. The acquisition of Associated Grain, gives the company a valuable pipeline to access Australian pulses directly from our network of growers. The company’s owners are Mr. Vijay Iyengar and Mr. Ravi Raghavan. Mr. Vijay Iyengar is the founder and the Chairman of the company. Armed with a management style of being open, accessible and inclusive and more than 25 years of multinational experience in commodities trading, he has steered the company into one of the top commodities trading companies in the Asia-Pacific region. Mr. Vijay is currently the Vice President of the Global Pulses Confederation. He was also the former Chairman of the Singapore Indian Chamber of Commerce and the Vice Chairman of the Singapore business federation. Mr. Ravi Raghavan has over 25 years of experience in the commodities and logistics business. He started off in Agrocorp by handling the trading of the mainly Animal feed. In the late 90’s he took over the shipping department and now the heads the global shipping and logistics team at Agrocorp. Bhuvan moves over to Associated Grain as a director and senior trader after seven years of being a director at Agro Commodities, trading pulses & grains and representing Agrocorp in Australia. Bhuvan is a member of the Australian Mungbean Association and has helped Agrocorp develop a market for Mungbeans into China and will continue developing new markets with Associated Grain. Todd has worked in most roles at Associated Grain since he was ten years old. Taking over as Managing Director in 1999 from his father Max, he has led the expansion of Associated Grain from a small packing and processing plant to a large-scale, modern, grain facility. Overseeing all infrastructure projects for three factories, he is committed to continually improving the business to ensure customer satisfaction. Todd is a Member of the Australian Mungbean Association and was President from 2011–2013. Geoff began his career in the seed industry in 1988. He joined Associated Grain in 2011 as Seed Manager and has improved the quality and production throughput of our chickpea splitting plant. In consultation with operational staff, Geoff helped redesign Associated Grain’s grading plant to maximise production and handling of all pulse crops. 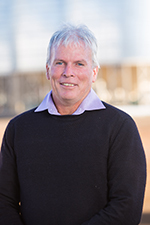 Geoff has helped position Associated Grain as one of the biggest seed companies in Australia. Shane oversees all processing, packing and exporting at our sites. He is involved with the loading of containers for export and general day-to-day organising of our packing schedule, Shane also looks after our HR side of things. Shane works closely with our factory staff to ensure all seed, export and domestic orders are delivered on time and to spec. Chris started in the grain industry in 2006, working initially in admin before working in logistics and shipping documentation. In 2010 Chris started in the trading room initially in grower accumulation and logistics and gradually moving into a fulltime trading role. This experience gives Chris a good understanding of the grain supply chain allowing him to work closely with both growers and consumers to ensure their needs are met. Jacquie moves into this new role after 2 years working as part of Associated Grain’s seed team. She is well-known to growers and has a thorough knowledge of all products handled at our facilities. Moving from sales and promotion of chickpeas, mungbeans and all seed lines, Jacquie’s role now includes grower contact, organising of contracts and time slots for grain delivery and the promoting & marketing of all aspects of the company. Russell is an experienced HR generalist who joined AG in 2015. His key role is to provide guidance to management and employees across the full spectrum of HR Operations, systems and programs. Russell strives to work closely with both managers and employees to ensure legal compliance and best practice strategies are implemented across key HR aspects including employee relations, staffing and retention, compensation and performance management. Patrick joined the grain accumulation team at Associated Grain in Dalby in July, 2017. 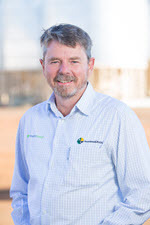 Patrick has well over twenty year’s experience working with primary producers throughout Queensland and New South Wales as a crop consultant and grain accumulator. Primary producers like to have that connect with buyers which allows for a good working relationship between the seller and buyer. Patrick accumulates for the container trade as well as the bulk vessel trade with commodities such as desi chickpeas and mungbeans. Patricks strength is speaking with growers in the field to better understand the issues facing the producers at any one time.